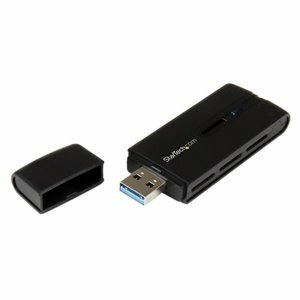 Add dual-band Wireless-AC connectivity to a desktop or laptop computer through USB 3.0. The USB867WAC22 USB 3.0 AC1200 Wireless Network Adapter lets you add Wireless-AC connectivity to a desktop or laptop computer through USB 3.0.With network applications like streaming HD video, online conferencing, file transfers and gaming becoming more demanding, this Wireless-AC adapter gives you exceptional speed and range for your office or home wireless network when paired with an 802.11ac router. The dual band WiFi adapter supports maximum data rates of up to 867 Mbps on the 5GHz band (3x the speed of Wireless-N), plus up to 300 Mbps on the 2.4GHz band.This versatile network card features a 2T2R (2 transmitter, 2 receiver) antenna design, with a physical WPS button for secure, one-touch device registration. To integrate with all of your networking devices, the adapter is also backward compatible with 802.11a/b/g/n networks.